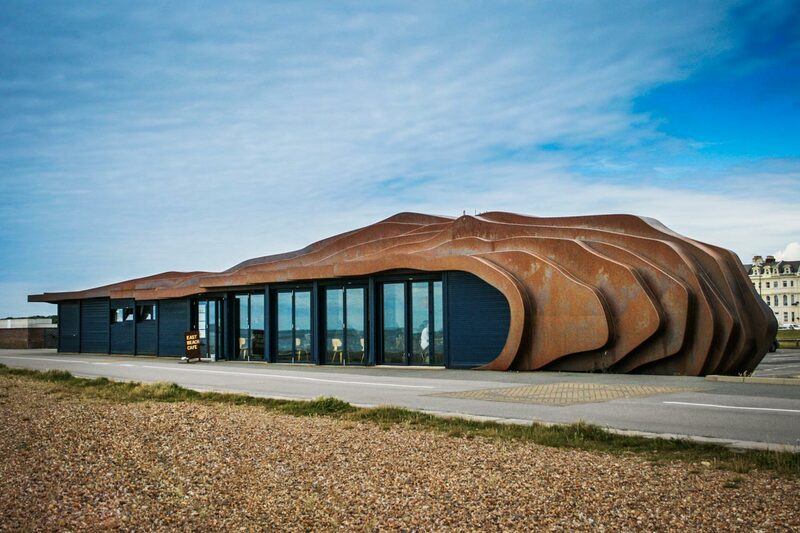 The East Beach Cafe, designed by Thomas Heatherwick, is situated on the seafront at Littlehampton. 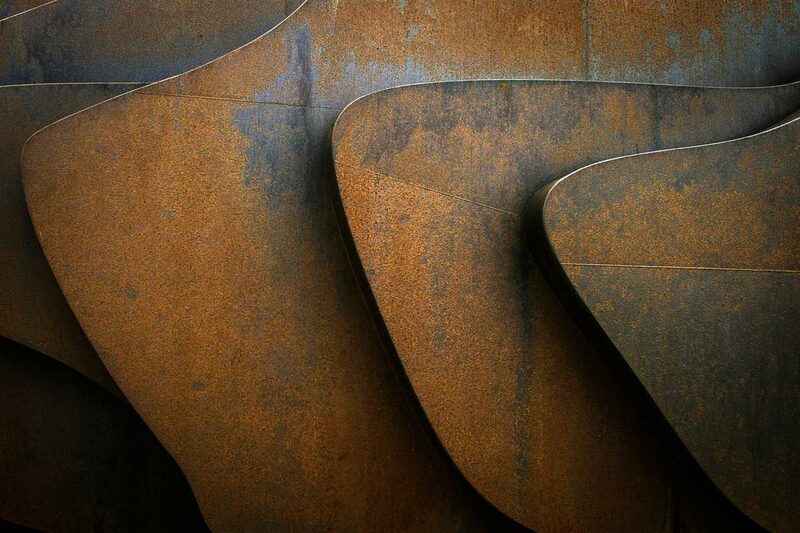 It’s unusual form was inspired by the worn contours of weather beaten driftwood and is informed by the ways in which steel can be manipulated. 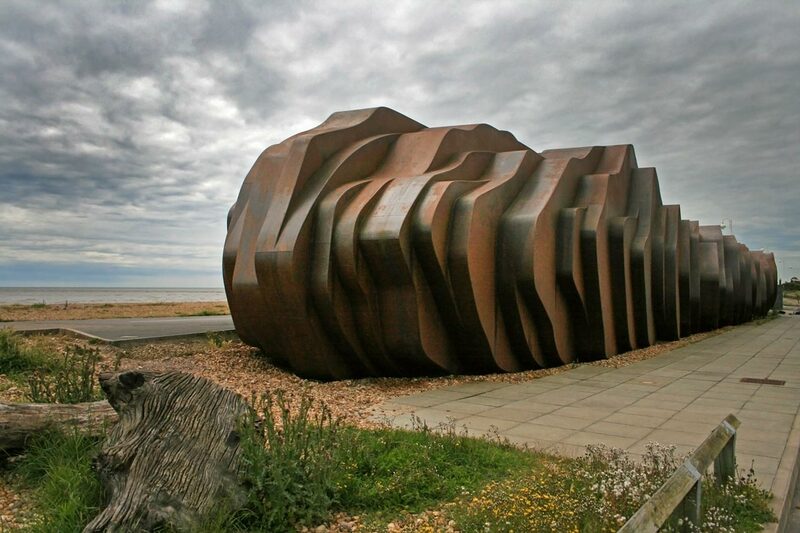 The shell, formed of 8mm thick mild steel, was precision cut by machine and prefabricated in four sections within the controlled environment of Littlehampton Welding’s workshop. These were subsequently taken to the site and welded together. 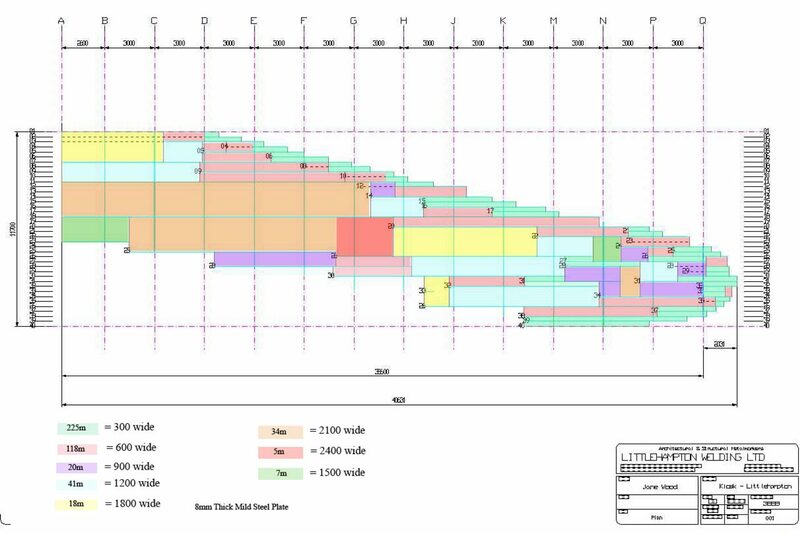 A series of 150mm deep steel ribs were then introduced at regular intervals to stiffen the structure. 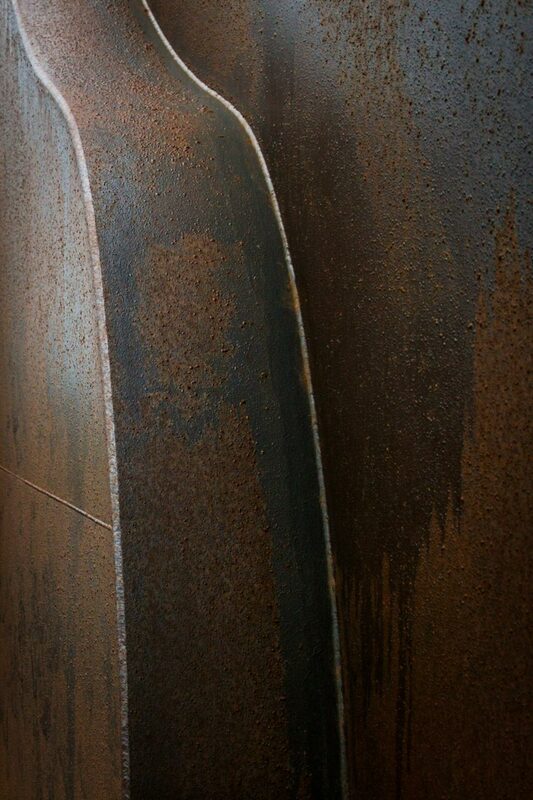 The outer skin was initially allowed to rust to gain texture, colour and character. 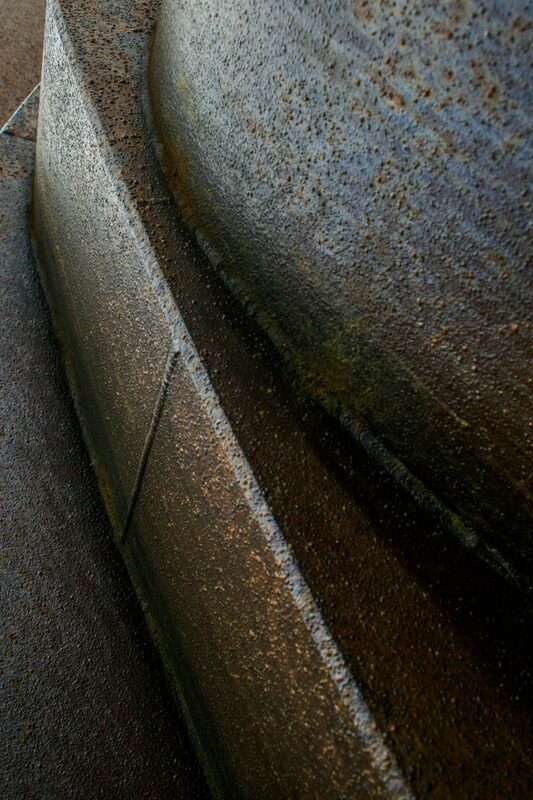 Once the surface had weathered, an oil based coating was applied to halt and inhibit any further corrosion. 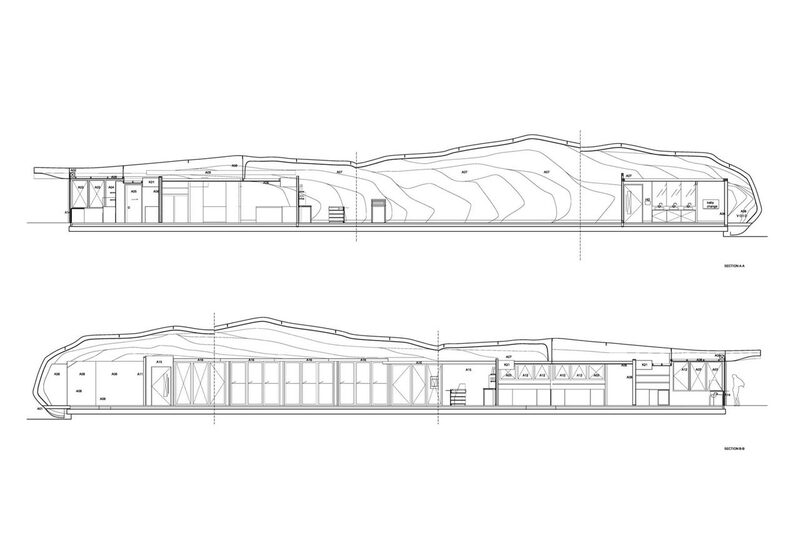 The glazed wall facing the sea was articulated by a series of columns fabricated from steel plate which incorporate rainwater pipes, glazing frames and shutter guide rails. 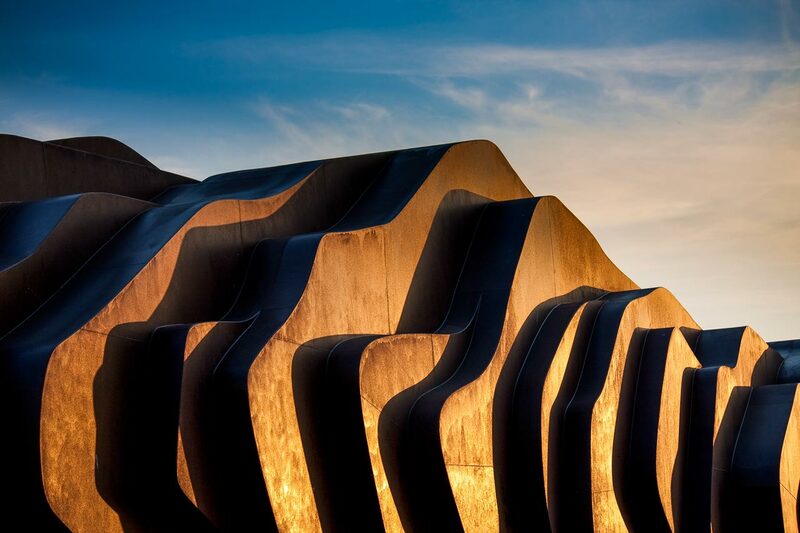 The cafe opened for business in June 2007, and has since won more than 20 national and international awards for design, architecture, steelwork, craftsmanship and engineering.